"What's astonishing is that previously, molecules that repair damaged DNA were thought to be important for tolerating radiation. On the contrary, Dsup works to minimize the harm inflicted on the DNA," Takuma Hashimoto, one of the lead authors of the paper , said in a statement . It is widely known that these critters can withstand some remarkably tough conditions. By shrivelling up into dehydrated balls, water bears can survive boiling and absolute zero temperatures, and can live without food or water for over 30 years. They have even survived in the vacuum of space . They manage this by going into a state of cryptobiosis , which is when all metabolic processes stop. When they find themselves in better conditions, they come out of the state and carry on as they did before. 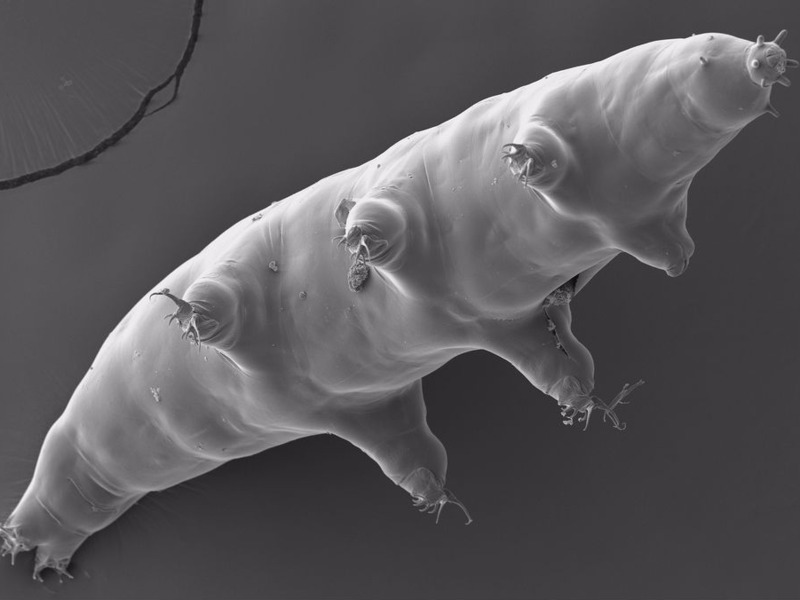 Also found in the water bear genome were more copies of an anti-oxidant enzyme and a DNA repair gene than in any other animal. These help counteract oxidation damage when it's dehydrated. There's also the possibility of learning about what kind of organisms could live in extremely hostile environments — such as on the surface of Mars — and maybe even bioengineering organisms to survive there.